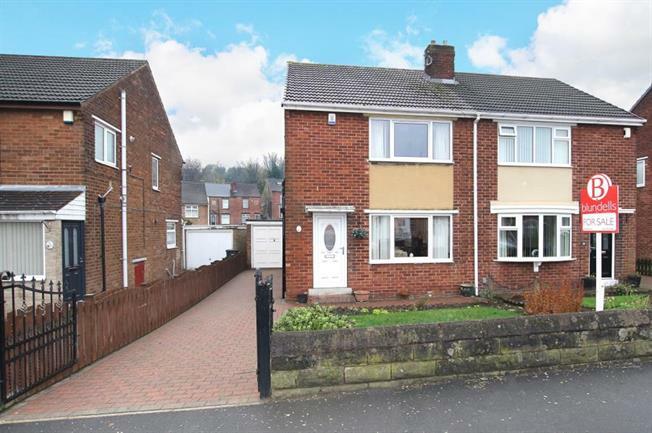 Located within this popular residential area and off possible interest to a young couple or growing family is this three bedroomed semi detached house with block paved driveway for off road parking and garage. The house has been maintained by the owners and offers gas central heating and double glazing. Accommodation comprises, entrance lobby, lounge, dining room, kitchen, conservatory, three bedrooms, shower room. There are gardens to both sides with the rear garden occupying the sun for the majority of the day. Located close to local shops, bus services and schools. All viewing strictly via appointment.